Heuchera 'Milan'. Introduced in 2010 by Terra Nova. The city of Milan is all about fashion and so is this charmer with constant bloom of lovely warm pink flowers on short stems over tight mounds of small silver leaves (with a maroon blush when cool). Very flashy! A great show in the front of the border or in mass. 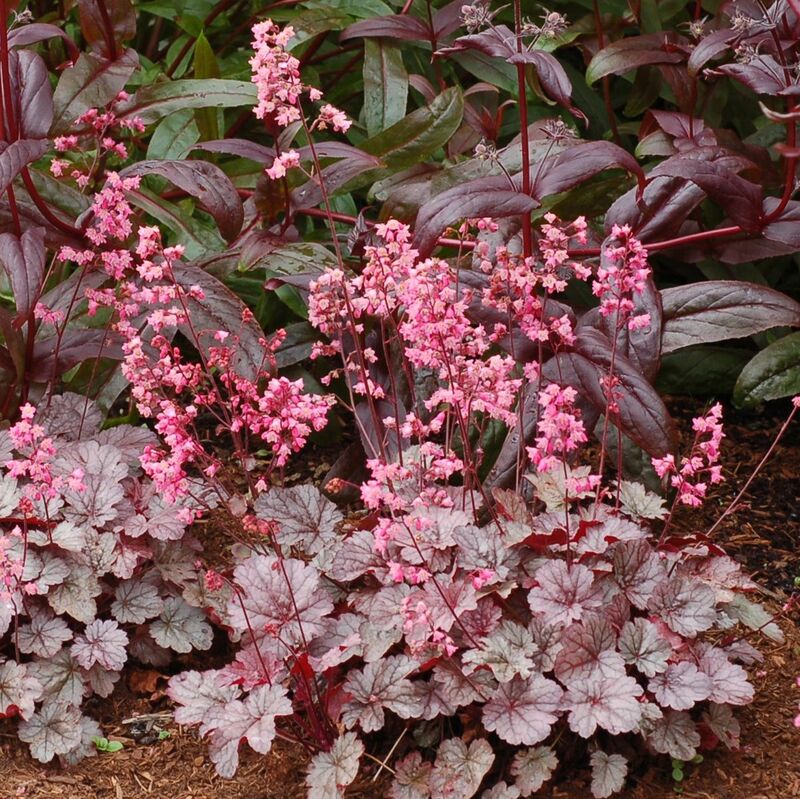 This is one of the new generation of coral bells that possesses both fantastic foliage and pretty, bright flowers. PP#21682.